Did this make… (wait for it) an impact? Sustainability isn’t just for the birds, or for your weird neighbor Galen who’s building that eco-friendly tiny house. So today, we’re going to talk about what sustainability is; what it looks like in practice, especially in Ecommerce; and the actual, real steps you can take to make your own business more sustainable (without losing money). The growing trend of sustainability is likely a response to humanity’s penchant for enthusiastically destroying the planet. From business models to packaging products, sustainability can take many different forms — and all of them will have a huge impact on Ecommerce businesses in the coming years. In fact, the party’s already started. Wait, when did “An Inconvenient Truth” come out again? At its most basic, “sustainability” basically refers to an enduring balance that allows humans (and, fine, everything else that lives on this planet) to get what we need from Earth without sucking it dry, setting it on fire, and coincidentally ending our own existence in the process. Welp, we had a good 2,000 years or so! Now, as sustainability has grown into a Google Trending buzzword, its meaning has gotten a little hazy. And that’s OK, because it would be impossible to explain what the complex concept of “sustainability” looks, feels, acts, and smells like in just a few snappy sentences. Sustainability is a pretty heavy concept, encompassing tons of practices across tons of industries with tons of impact on tons of different aspects of life. 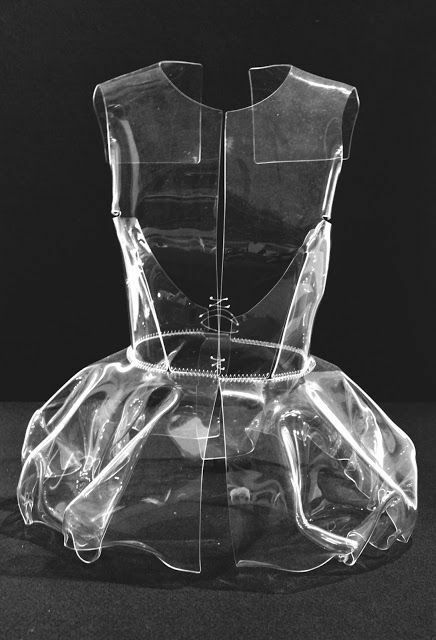 The Material Domain: Constitutes the basis for regulating the flow of materials and energy that underlie existence. → AKA how we use, conserve, regenerate, and manage our resources. The Economic Domain: Provides a guiding framework for creating and managing wealth. → AKA how countries, companies, societies, markets and people develop value. The Domain of Life: Provides the basis for appropriate behavior in the biosphere. → AKA why it’s not cool to have 27 kids, or legal to dump industrial waste in yon virgin river. The Social Domain: Provides the basis for social interactions. → AKA why you’re so weird at parties. Just kidding! It’s about every individual human’s right to self-actualization and freedom. If you want to read more, check out Ben-Eli’s complete framework. It will make you look very smart at the coffee shop. Still with me? Awesome. Let’s get to how sustainability ties into Ecommerce and those daily Amazon deliveries we all love so much. What does sustainability have to do with Ecommerce… and you? Lemme set the stage a little bit. Ecommerce is growing at a crazy rate, and shows no signs of stopping. After all, if you can get toilet paper and laundry detergent delivered to your house instead of walking a block to the drugstore, why wouldn’t you?? Let’s look at China, for example. SustainAbility, an environmental think tank and consultancy, notes in its 2017 Sustainability Annual Trends report that the country’s Ecommerce has experienced rapid growth. In fact, Chinese Ecommerce spending has ballooned from 3% of total private consumption in 2010 to 15% of total private consumption in 2016. A quick visual in case you’re unfamiliar with balloons. Things in the States are expanding similarly. In the first quarter of 2017 alone, U.S. Ecommerce grew 14.8%, according to Digital Commerce 360. But as Ecommerce grows, so does its environmental impact. All those cardboard boxes and plastic packing puffs and Styrofoam peanuts have to go somewhere… and a lot of the time, that “somewhere” is the Great Pacific Garbage Patch (which also happens to be my nickname). Can anyone say Spring Break?? Enter the rise of “sustainable Ecommerce,” a well-intentioned community of distributors, retailers, and consumers who figure hey, maybe we can have nice things without poisoning the planet, enslaving other people, or giving up what we believe in. Sustainable Ecommerce is founded on the belief that no matter your industry or product, there are ways to make your Ecommerce business more sustainable. Warby Parker followed suit with its own “one-for-one” model a few years later, and these days, you can find online retailers committed to sustainable principles all over — from shoes to sunglasses and everything in between. Sustainable Ecommerce is catching on so widely, there’s even an upcoming conference about it. Hey, wait, is this article about greenwashing? You’ve probably seen articles on “greenwashing,” the trend of making your business look more environmentally friendly while actually changing nothing about your impact or practices. That’s not what we’re talking about here. There are SO many real steps that you can take to make your Ecommerce business just a little bit more sustainable, just a little bit at a time. Some Ecommerce business owners consider sustainability a guiding practice that affects all of their business decisions. Hashtag #doinitright. As a greater ecosystem, we actually know very little about what sustainability means for Ecommerce or tech businesses and how they can pursue greater sustainability. The way I thus think about it is how we — as Conversio — can be a good citizen of the universe and how we can have a positive impact in the world to augment our commercial pursuits. This requires a “profit plus something else” approach, where we try to not only pursue things that result in a profit for us, but we also pursue things that are good for the universe. Keeping this holistic interpretation in mind, I worked with the Conversio team to reach out to a few of their customers: Ecommerce businesses that prioritize philanthropy and environmentally friendly practices. What actions does your business take to give back or do good? Interestingly enough, he didn’t mention philanthropy outright — but every purchase of a Banded2Gether product donates three meals to a child in need. Eric Gantz at Verena Street Coffee told us, “I define sustainable as the utilization of business practices that do not negatively impact the future of your industry, product, or company.” Verena Street sources its beans from 100% Rainforest Alliance Certified farms, which pledge to protect not only the wildlife and environment around them, but farmers and their families, too. Your business can define its own version of sustainability. If you’re ready to read about the nuts and bolts, then scroll down for literally like 500 ways to get started! If you need more convincing, that’s great, too. Below, you’ll find three super-solid reasons to start making your Ecommerce business more sustainable. Aside from my diminishing belief that people are inherently good and care about the planet and their fellow humans, there are a few real-talk, “Take it to the CFO” reasons for emphasizing sustainability in your Ecommerce business. Cheers to making money while doing good! America! If you’re not required to monitor or mitigate your business’ environmental, economic, or social impact already, you probably will be soon. Remember how we talked about China earlier? Ironically, the country’s online shopping habit — which poses an intimidating environmental threat in terms of sheer tons of packaging waste and CO2 emissions — sees big spikes on days when pollution haze makes it too dangerous to go outside. SustainAbility notes that products’ lifecycles will be “an increasingly important issues for companies to tackle,” and that doesn’t just count for China. Argentina, Mexico, and Latin American countries are all considering regulations that target electronic waste and packaging materials, including polystyrene, which is what your takeout containers are made of. Doesn’t taste so yummy now, does it? Wait… yes it does. Clearly, we’re not doing a great job addressing the environmental impacts of our spending by ourselves. Both policy analysts and environmental activists agree that for things to really change, tougher regulations will have to be imposed. So before the government steps in with the world’s biggest ruler to smack you on the wrist, invest some time and energy in investigating sustainability. You might know that adding too much packing material to a shipment can add cost and weight, turning your operations into a losing equation both price- and planet-wise. But on the flip side, adding too little packing material can result in items or packages being damaged during delivery, which leads to a higher rate of returns — bad for you, your customer, AND the environment. Properly packaged goods have a better chance of arriving intact, reducing the number of returns and the overall environmental footprint. When a shipment is packed correctly and arrives undamaged, replacement goods aren’t needed and additional transport isn’t required to replace the item. Changing your business model can also help you save on costs. And before you say, “My business is too big/too small/just right to find savings in sustainability!”, consider that Starbucks’ director of environmental affairs, Jim Hanna, has publicly said it doesn’t matter how many stores you have or how big your company is. More and more businesses are finding a balance between doing good and making bank. In fact, an overview by the Harvard Business Review shows that prioritizing sustainability in business won’t kill your profits. But it will help you and your customers sleep better at night. More and more, customers care about environmental stewardship and socioeconomic justice. And we’re starting to show it in our online purchases. This is especially true for Millennials. Partially because the spectacular implosion of our hopes, dreams, and trust funds in the 2008 recession forced us to stay in school, Millennials may be the most educated consumer group in existence (Spehar, 2006). Which means we ask more questions. We understand our environmental and social impact on the world. And we look for brands that align with those values. Sustainability is so in right now. Even if you’re not looking to attract Millennials, beginning to focus on a sustainable model shows consumers that you’re more than just a place to buy things — you’re a brand that stands for something. And being a brand that stands for something means customers will stay loyal to you for longer. They’ll tell their friends about you. And they might even pay more. TL;DR: Whether you choose to apply the principles of sustainability to your product materials or sources, your commitment to social equality or justice, your impact on the environment, or the philosophy of your business, or just whisper them quietly to yourself as you drift off to sleep*, implementing sustainable practices is a no-brainer for your Ecommerce business. * This will not do anything. All right, all right. You’re hyped up on the idea of sustainability! You’re reconsidering your Amazon cart! You’re kinda hungry because you’re 3,000 words into this post and you haven’t had lunch yet! So, how can you start that sustainability train a-rollin’ into your station? First, examine the areas of your business where it would be easiest to make a change. If you’re shipping products, can you source recycled boxes or offer a shipping discount for methods that use less carbon? If you source materials from suppliers, can you work with more fair-trade organizations, or female- or minority-owned businesses? From soul-searching to slower shipping, here are a few more ways you can begin to include various principles of sustainability in your business. Deciding to make a change in the way you run your business is the first step. Along with making that decision, you can begin to practice transparency. By emphasizing honesty and clarity about your practices, processes, and people, you can earn buyer trust and inspire competitors to do better. In practice, transparency essentially stems from the idea that if we all work together, we’ll accomplish more. Wait a second… I’m starting to sound like your crazy neighbor, Galen. Dr. Jonas Salk, who invented the first polio vaccine and refused to patent it so it’d stay available to everyone who needed it, is an excellent example of how transparency can contribute to the greater good. 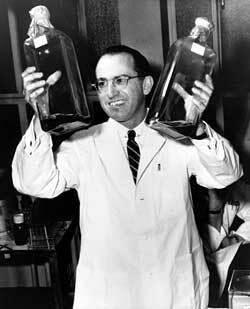 Dr. Jonas Salk, showing off the great 2-for-1 deal he just found at Costco. Some popular companies have led a push for transparency, including social media platform Buffer, which makes its salary information, revenue, and other generally private information public on this game-changing transparency dashboard. In case that’s not enough for you, the Buffer team also regularly publishes thoughtful blogs about how the company works and what it’s doing to improve. In the tech space, I really admire what Buffer has done for transparency. They have used their commercial success as a way to experiment with new ways of running a business and have been very open about their learnings, which has fueled a few positive trends within tech. Groove and Baremetrics are two other SaaS businesses that open their inner workings to the public, and more founders are following suit. But in Ecommerce, transparency is still radical, according to Retention Science. Want to be in the vanguard of transparent Ecommerce businesses? One of the most obvious (and scariest) places to reveal what’s going on beneath the surface is costs and pricing. One potential reason for Ecommerce’s overall lack of pricing transparency is that retailers are afraid to reveal how much markup their products receive. Another is that consumers simply haven’t had the ability, platform, or drive to demand this type of information before now. Seventeen years ago, the Harvard Business Review named four challenges that cost transparency poses for businesses, chiefly the tendency of transparent cost pricing to damage sellers’ margins. The article also suggests that cost transparency weakens customers’ loyalty to brands, since buyers will naturally seek out the lowest price for items of similar quality. But HBR failed to consider that sellers can use cost transparency to build customer loyalty. Take Everlane, which coined the catchphrase “Radical Transparency” for itself, and which was among the first Ecommerce retailers to reveal exactly how its pricing works in a handy infographic beneath all of its products. Thanks for only charging us slightly more than double, Everlane. Not sure how I feel about paying 78 cents for “webbing”. Assuming you’re not gouging your customers, you might reveal exactly how and where your business makes a profit — and reap their love and loyalty in return. Final thought: in an age where presidents can refuse to release tax returns, transparency in ANY business is a radical stance. This is the wrong kind of transparency in Ecommerce. Let me blow your mind for a second: There are a whole lot of communities and individuals who are marginalized for their race, caste, ethnicity, abilities, cognitive differences, you name it. Hire differently abled people. Business owners in the U.S. can take advantage of tax credits and other programs that offset related costs, like installing a wheelchair ramp at your office. Commit to elevating the voices of minorities, like Ikuzi Dolls, which sells dolls with shades of brown and black skin (under-represented by many mainstream doll brands), or ZADY, which features clothing models of many different ethnicities. Hire veterans, like Bottle Breacher. Ditto tax credits for U.S. biz owners. Promote the belief that every size of woman is beautiful and worthy, like Hello Holiday. Hire felons or criminal offenders. Ditto tax credits for U.S. biz owners. You can also intentionally work with producers or suppliers in areas with struggling economies, which can be both cost-effective for you, and offer a quality-of-life improvement for makers or workers in that area. One of my favorite shoemakers, Nisolo, is founded on a commitment to supporting local artisans. Yes, the shoes are fairly expensive. But fast fashion comes at a cost, too. Also consider Combat Flip Flops, which manufactures its products in Afghanistan to empower families in that war-torn country. Or Dharmashop, which works with artisans in small villages in Nepal. Set the A.C. a couple of degrees higher in the summer. Install low-flow plumbing fixtures. Replace incandescent bulbs with LEDs or fluorescents. Plant a green roof. Install motion-sensing lights. FOR THE LOVE OF GOD, STOP PRINTING THINGS. The list of ways to reduce the environmental impact of your physical location, whether it’s a small shop or a shipping facility, is endless. And it’s not as much of a pain in the wallet as it might sound. For instance, LED bulbs last much longer than incandescents — so though they might cost more up-front, you’ll save in the long-term. Plus, taking steps to reduce your physical location’s environmental impact might earn your building a fancy certification, like LEED. Certifications like this can increase your building’s value and longevity, safeguard your employees’ health and comfort, and mitigate impending obsolescence (yes, I did do very well on the verbal SAT portion). They also come with fancy glass plaques. Do it for the plaque. Remember Trash Mountain, I mean Garbage Island, or whatever it’s called? Packaging trash is a huge issue for Ecommerce, as we’ve seen, and it’s only going to get worse. Unless we take steps to fix it now. You’ve probably already investigated tons of shipping materials and options (you’re not stupid, after all). But have you considered doing away with the “box in a box” model completely, like Allbirds? The company, whose Merino wool running shoes became far more popular than really anyone would have guessed, says its unique box design uses “40% less material than traditional shoe packaging”. For the sensible, sustainable stroller. Because so many different items are shipped in different ways — from tiny items to huge machinery to direct-to-consumer to wholesalers and distributors, there’s no single-serve shipping solution that will work across the entire Ecommerce industry. We’ve already talked about TOMS, Warby Parker, and other lesser-known businesses with donation models. Whether you’re donating in-kind products, like Warby Parker, giving your time, or giving in another way (like Banded2Gether’s meal program, or Inkkas’ OneShoeOneTree project, or Zappos’ program to ship gently used shoes and clothing to those in need), you can probably find a creative way to give. I guarantee you that your city or town has at least three environmental or philanthropic organizations that would just LOVE to help you transition your Ecommerce business to a more sustainable existence. Don’t know of any? Don’t want to go outside and meet people in the real world? You can also find opportunities, organizations, and ideas on sites like Idealist.org and GreenForAll.org. Officially decided to make a shift toward sustainable Ecommerce? That’s awesome. But, much like a tree falling in the deforested forest, it doesn’t matter if no one knows about it. *Yawn*… anybody else want lunch? Shockingly, the best way to convey information to a reader is to TELL them. Once you decide how you’ll approach sustainability in your business, it’s time to share the news your visitors, customers, and investors. Using your words. Wait, why are you walking away? No matter where you place the copy you’ve written about your business’ commitment to sustainability, it should be clear, straightforward, and uplifting. Leave no room for braggadocio or self-celebration. The proof should be in the pudding — aka your quantifiable impact at the end of Year 1 of Sustainability. Here’s how to convey your sustainability approach in your marketing efforts, from your homepage UVP and branding down to your cart microcopy, clearly and effectively. No greenwashing required. If you’ve decided to make a huge ideological and practical shift because of this article, first of all, AWESOME, PLEASE EMAIL ME TO TELL ME I CHANGED YOUR LIFE, MKAY? Second, consider how your branding might need to change to convey your new approach to current and future customers. Why update your branding? Along with clearly conveying what you sell, your brand should reflect your company values and practices. I think you’ll agree it was high time for a cat GIF. Well, you should probably make that change clear in your branding from here on out. Especially if it’ll shake up your pricing model, shipping abilities, or supplier or vendor relationships. But by the same token, people appreciate history and continuity. If your branding has helped build trust with your audience over a period of years, you don’t want to take a rebrand too far. You want to maintain the brand equity you’ve already built — but you also want people to recognize you later on. That’s why rebranding can be a delicate balance, especially for well-known or longstanding brands. as subtle as updating your brand palette to include green, like Clorox did with its GreenWorks line. You might be interested to know that one study of consumers’ perception of logo colors found that when it came to the perception of environmental friendliness and ethical behavior, the color blue was actually “greener” than green. If you prefer, you can also stick to sharing the news in your copy and messaging. Your unique value proposition (UVP) is the best place to start. Since your UVP copy should include what you do, for whom, and what makes you different, you might consider including your sustainable practices in your UVP. Many businesses use their UVP as a homepage headline, so visitors know instantly what the website they’ve just landed on is about. If you’re trying to figure out your UVP, keep it simple. What do you sell? How are you different from other people who sell it? If words are super-hard for you, here’s an infographic to help you nail your UVP. You can also update your “About” page, or another page (I’ve seen a lot of stores using “Our Story” as a page title) to explain your philosophy and approach to sustainability. Verena Street Coffee, which I mentioned earlier, sells only coffee from Rainforest Alliance Certified farms. This certification requires farms to pass yearly audits across a range of sustainability metrics, including protecting waterways and animal habitats and providing housing, schools, and medical care for the families of its workers. Verena Street Coffee’s Responsible Sourcing page, which explains how its Rainforest Certified coffee benefits the planet and the people who produce it. If you’ve got numbers, this is the place for them. Remember that “proof in the pudding” I mentioned earlier? You’ll build trust with consumers by quantifying your impact year over year — and the more concretely you can do that, the more trust you can build. Nisolo put together a downloadable PDF “Impact Report” putting its business model in context with the fashion industry as a whole, and showcasing the company’s impact by the numbers. Plus, judging by this photo, all Nisolo shoemakers are broodingly handsome. A good rule of thumb is to mention sustainability only where it makes sense and can benefit your conversions — since sometimes, making your customer feel like an altruist could be the difference between a purchase and an abandoned cart. With that in mind, you should consider placing sustainability messaging inside your store’s purchase funnel. Where might users who are on the path to purchase be encouraged by hearing about your company’s practices or philosophy? And where do you risk distracting them with that info? For instance, you can let prospects know on the individual product page level exactly how their purchase price is allocated. When you click $53, the copy says, “Are you sure, Scrooge?” Just kidding. Greenpeace? Sure, I’ll wait a little longer for my stuff. You can also test click-trigger copy that mentions sustainability, since making your customers feel good about their purchase decisions can help them overcome barriers to buying. Don’t forget: if your message gets muddy at any point, it’s time to refocus. At the end of the day, keep your focus on your product and its benefits to your customers. Cool? Let’s get back to one last way that you can include sustainability in your marketing. In case you thought Arbor Day and Earth Day were alone in the world, it turns out there are actually close to 50 technically-existent earth- and environment-related holidays. Who knew? Not us. Too busy *Derning* I mean burning stuff down. We wanted to see if customers buy more goods from sustainable business on these days, so we looked at the sales of five Conversio customers who consider their businesses “sustainable” on five major environment-related days (World Wetlands Day, Earth Day, Arbor Day, World Environment Day, and the International Day of Climate Action). That’s five businesses, five particular days of the year. Three of those five days actually turned out to be among the top 30 highest-grossing days of the year. They weren’t the very-tippy-top sales days. But they were popular. Now, what we found may not be meaningful, especially considering our small sample size and that some of these businesses are in different time zones (thus the “holiday” might actually fall on a different day). It’s definitely food for thought, though — and may signify an opportunity for sustainable Ecommerce retailers to get more attention throughout the year. Mmm, tasty food for thought. Just as store owners are being urged not to think of Ecommerce as an adjunct to their business — but rather to think of digital commerce as a core component of their company — I’m hoping you walk away from this article thinking of sustainability as a core component of your business. Even if you decide not to reveal your pricing structure, consider some of the creative shipping options detailed above. Even if you don’t know of any female- or minority-owned vendors in your business, ask around or better yet, mentor one. Even if you don’t change your logo, change your lightbulbs. There are so many Ecommerce brands that actually walk their talk, from the few listed in this article to the hundreds more who are just quietly doing what’s ethically and morally right without any recognition. You could be the next one. What are you going to do to make your Ecommerce business more sustainable? I really want to hear about it, so tell me in the comments. This was so helpful and insightful. I was looking for an outlining what needs to be done in ecommerce sustainability and this was so perfect. Thank you for taking the time to write this easy to read article.